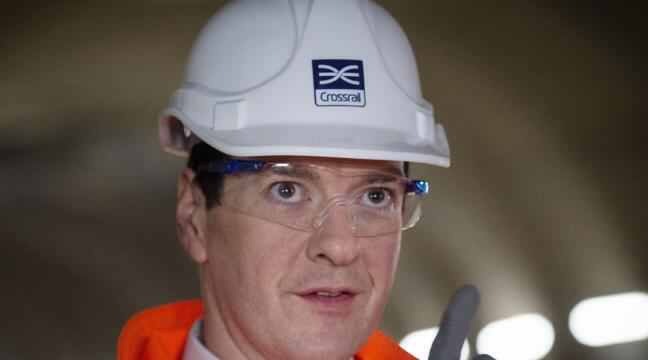 Crossrail 2, Where Are You? George Osborne’s March 2016 budget indicated that the then Government would be “investing in the infrastructure that will deliver economic growth for the next generation” by a number of measures, including “securing London’s future infrastructure by giving the green light for Crossrail 2 to proceed. The government will provide £80 million to develop the project with the aim of bringing forward a Hybrid Bill this Parliament”. There have been rumours that the Treasury or Department for Transport subsequently have not yet been convinced of the business case but, whatever the reason (the twin challenges of Brexit and the need to devote resources to Northern Ireland to prop up a new born minority government? Politics = events, dear boy, events), the project’s absence from the Conservatives’ 2017 manifesto and subsequently from the Queen’s Speech on 21 June has been hugely disappointing. Perhaps given Mr Osborne’s new job it is no surprise that on the day of the Commons debate on the Queen’s Speech, 29 June, the London Evening Standard set out its concern in a strongly written editorial, but the points are surely well made. – Postponement of the commuting benefits and congestion relief that it will bring. Given the need to provide additional capacity at Euston ready for the opening of HS2 in 2033, it is time critical (see City am’s 28 June 2017 piece). – Loss of the opportunities that it will open up for additional housing and employment development around stations on the route, including opportunities for Transport for London to explore the possibilities for land value capture mechanisms. The Crossrail 2 Growth Commission confirmed in its 2016 report that the project could unlock 200,000 additional homes and 200,000 additional jobs. Without Crossrail 2, how will further housing come forward at the scale that is needed? In this uncertain period, are key sites going to lie fallow or developed at less than the scale that could be achieved with better rail connectivity? – The unnecessary cost of delay, estimated by Crossrail 2 managing director Michele Dix at £2bn a year. 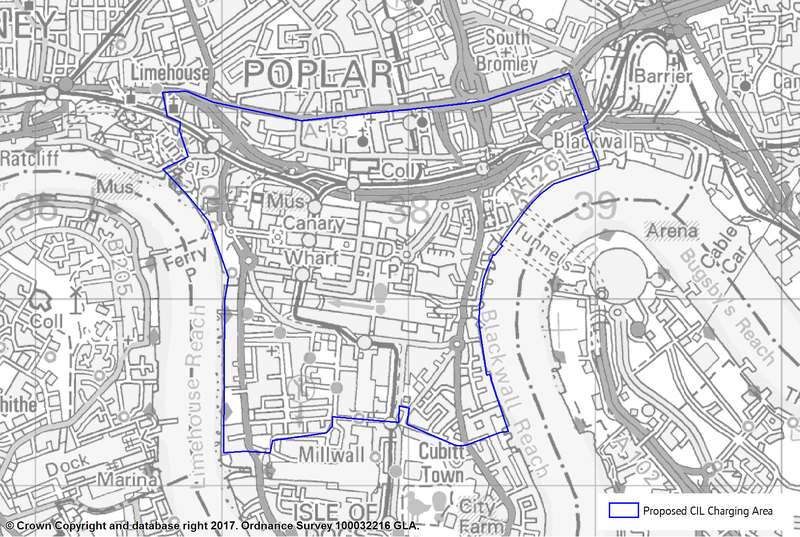 – Extended blight that will be caused along its current route, safeguarded in 2015 and shown on this interactive map. 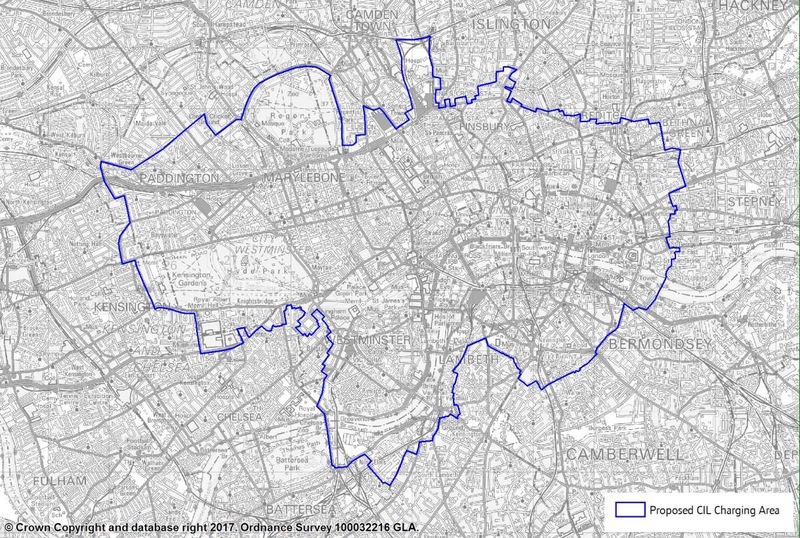 – The uncertainty that has now been created for the impending replacement London Plan, the first draft of which we will see in November. The implications of Crossrail 2 are so significant that might the Mayor have to publish “with and without Crossrail 2” draft policies? How can the likely effects of the plan be properly assessed with such a question mark over Crossrail 2? 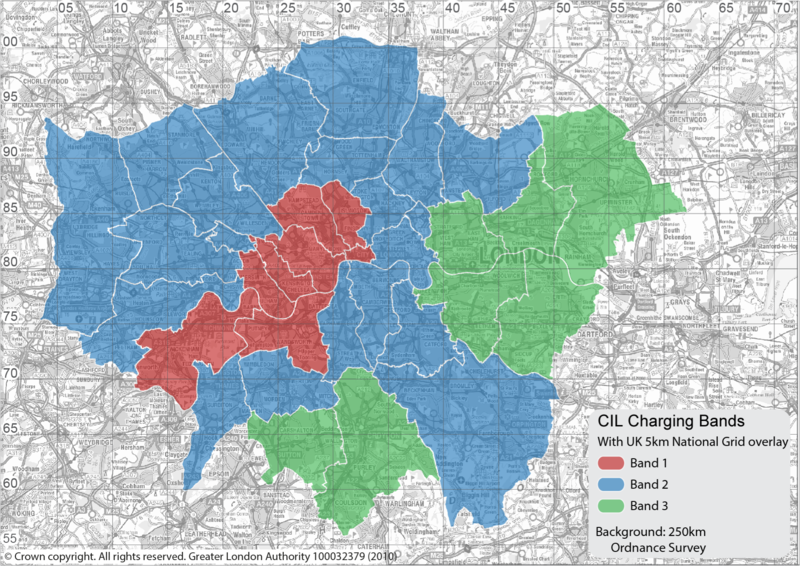 The Mayor commenced consultation on 26 June 2017 in relation to his Mayor of London Community Infrastructure Levy 2 Preliminary Draft Charging Schedule (MCIL2 PDCS). MCIL1, which was adopted on 1 April 2012, was directed towards funding Crossrail 1. MCIL2 is directed towards funding Crossrail 2 and the Mayor intends for it to be adopted in April 2019. The proposed per sq m rates are £80 for band 1, £60 for band 2 and £25 for band 3, save that in central London and the Isle of Dogs, the rates for office, retail and hotel uses will be £185 for offices, £165 for retail and £140 for hotel uses. So what is happening behind the scenes? Will Crossrail 2 emerge in a leaner form? A City am story on 26 June asserts (denied by Crossrail 2) that a revised business case provided to the Government in March had dropped the proposed station at Kings Road Chelsea (the subject of a vociferous celebrity-backed campaign) and that possible stations at Turnpike Lane and Balham have been replaced by Wood Green and Tooting Broadway options respectively. 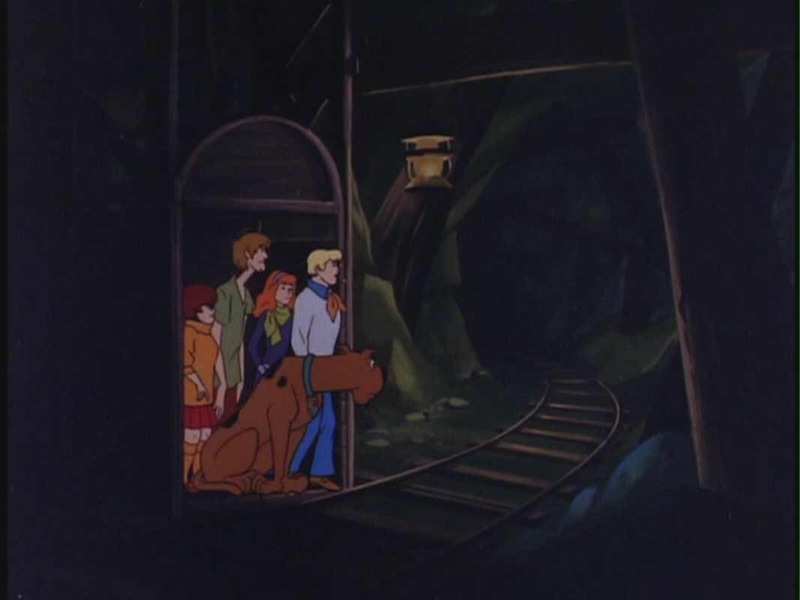 The continued speculation without any real information, isn’t helping anybody. 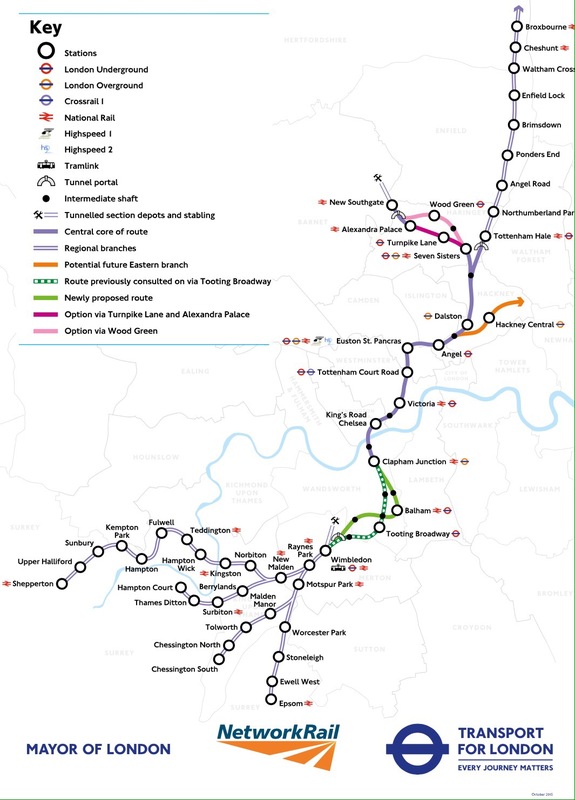 Crossrail 2 is a key project for regenerating North and North-East London with huge opportunities for the Upper Lea Valley and New Southgate as well as the potential Hackney and East London link. It also helps to exploit the benefits of opening up the former Eurostar platforms at Waterloo and to connect some of the most prosperous parts of London with some of the poorest parts – a genuine attempt to create Ile de France RER conditions in the London Region. The National Infrastructure Commission has just announced a competition for integrated development and regeneration options for the Oxford to Cambridge Corridor. Do we need something similar for Crossrail 2?